The following are detailed specifications about the Low-Voltage Picture Light. 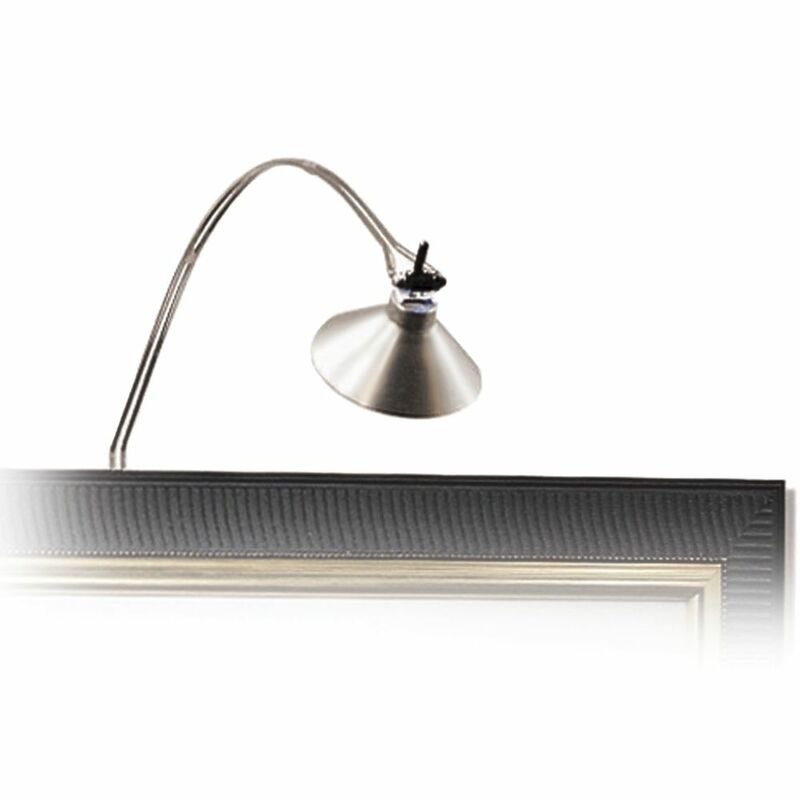 This low-voltage picture light has a unique design specifically engineered to illuminate artwork without glare. The halogen light is supported by two thin, elegantly curved arms that have a chrome finish. The angle of the bulb can be adjusted vertically using the integrated handle. The fixture comes complete with a 10-foot cord, plug-in transformer and brushed aluminum shade. Takes (1) 50-watt halogen MR-16 bulb(s). Bulb(s) included. Dry location rated. Fixture is plug-in and comes with cord and plug. UL listed. This Low-Voltage Picture Light is part of the Joshua Picture - CH Collection from Tech Lighting. The following items are also part of the Joshua Picture - CH Collection.